Ellen Pope is the executive director of Otsego 2000 in Cooperstown, NY. As a child, Pope grew up traveling around the country and Europe due to her father being in the military. With this Pope gained to many different cultures that helped her in her career down the line by making her comfortable navigating life in different areas. In 2010, she relocated to Cooperstown in 2010 when she accepted the position of Executive Director of Otsego 2000 and has been in Cooperstown ever since. During her time working abroad she would help facilitate environmental conservation discussions between different organizations and saw coming to Cooperstown as her chance to “walk the talk.” Pope has helped to facilitate many discussions about environmental threats within the immediate area--- one of the largest issues being has been hydrofracking, or unconventional shale gas drilling. Pope and Otsego 2000 argued that hydrofracking was threatening the area and surrounding communities. Pope discusses when she first became interested in policy and the environment, along with her work overseas and her work here in Cooperstown. When Pope was talking she would often use her hands, either sliding them on the table, making gestures in the air, or hitting the table to emphasize points. The sliding of the hands and the slight hitting of the table can be heard in the recording. Just like with any narration it can be difficult to find good places to close a sentence, so there was some liberty taken with the placement of punctuation. It is impossible to reproduce the exact tone and nuances of an individual’s voice; therefore, researchers are encouraged to consult the audio recordings. 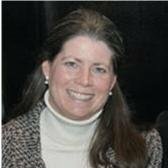 This is the November 15th, 2017 interview of Ellen Pope by Alexis DiBartolomeo for the Cooperstown Graduate Program Community Stories recorded at Otsego 2000 in Cooperstown New York. I grew up in the Army. My mother is from here, she grew up in D.C. but came here every summer and her parents are from here and she married a West Point Graduate. We traveled all around the country and in Europe, well Germany, and so every couple of years we moved around, but we always came back to Cooperstown for our summer vacation. Cooperstown was always home to me. We were stationed in Washington, D.C. Kentucky, Alabama, Germany, three different places in Germany, Kansas, Missouri, and then back in D.C. several times. With all of that moving around where did you go to school during those times? The local public schools, the military schools if we were on a military base that had schools, or the local Catholic schools. How did your experiences as a young person shape your view of the environment? I don’t know that I was really aware of the environment as something to be protected until much later, I think college or later. It was just always very much part of life for me in the summer, especially the Cooperstown environment. This place is so gorgeous and very different from a Kansas military base in Fort Leavenworth, or Alabama where frankly in Alabama the environment terrified me. They had poisonous snakes and spiders. That’s where I started Girl Scouts as a Brownie and I will never go camping because it was so terrifying in that place. It really wasn’t a place I was that comfortable with until we would come up to Cooperstown, where my grandfather had a farm about four miles outside of Cooperstown. It was just beautiful so we would play in the fields and the streams and have fun with the cows. He had sheep for a bit and chickens so for me it was always a very important element of my year, to be able to come here and be on the lake and be in the fields and really enjoy this gorgeous place. Even when you were abroad you would still come back to Cooperstown? Yes, yes. The army would pay for trips back I think twice a year so we would always come back to Cooperstown. When did you first become interested in policy? Oddly enough I think it was in 6th grade, which is kind of scary when you think about it. We were in Fort Belvoir, Virginia and my dad was at the Pentagon so I was at a small elementary school nearby. We had just moved there right at the beginning of the school year so in October or November. We had to do, for school, a weekly notebook of things that happened during the week and we had to design our covers and everything and I remember designing a cover of Hubert Humphrey’s death. He died and I drew a cover and it only struck me as odd after the fact but I was always really keyed into what was going on policy-wise and I don’t know if it was because of my dad’s role in the military, if it was because my grandparents were always talking politics, they lived in Washington, or that NPR [National Public Radio] was always on in the house so maybe it was by osmosis. It was where I felt most comfortable gravitating toward in high school, it was social studies and history and then in college political science was an obvious major for me. What first piques your interest in environmental policy? I think that was when I was at the German Marshall Fund. I joined the German Marshall Fund in 1996, and the German Marshall fund had a strong environmental focus. It is a transatlantic policy organization. They had a strong environmental focus and I joined to run their Marshall Memorial Leadership Program, but much of the grant making the German Marshall Fund had done over the previous ten years had been to assist Europe with some of its technologies on the environmental side and to learn from Europeans what they were doing with recycling and clean air emissions and all of that. There was a very strong focus on the importance of the environment especially in areas where there had been heavy industrialization and brown fields, brown fields remediation, and I think that’s when I really became aware of how important it was to really invest in protecting the environment, because I could see the impacts of it in Europe when I was traveling. How has this shaped your career? When I was at the German Marshall Fund it was really tangential because I was running the leadership program which really focused on policy across the board. It was from social policy to education policy to foreign policy to military policy. We really tried to give them a broad introduction to transatlantic issues. It really didn’t affect me as much until I started the comparative domestic policy program at the German Marshall Fund, which was working with older industrial cities in the U.S. and also in Europe, whose issues are clearly pollution, remediation, poor planning and sort of a deteriorated natural environment and showing how European cities had really invested in the environment as a critical part of urban planning and how they were able to use innovative technologies and strategies to bring back blighted areas, areas that had contaminated soils, water, etc. and bring those back and make them a welcoming part of their city and an important part of their city. That’s when it really struck me that the environment was really at the base of all that we know and love about a place. [TRACK ONE, 7:28] The environment is really the critical piece. The people can’t thrive unless they have a healthy environment. The city doesn’t function well unless there is a healthy environment. So that’s when it struck me that this is important. How did you get involved in conservation work? I’d been working at the German Marshall Fund for about 12 years and before that I had been at the French American Foundation for five years, so close to 20 years traveling back and forth across the Atlantic, ways taking its toll on me. At the same time my whole career had been connecting people, working on these issues to get them to exchange ideas so I was not really involved in the ideas or the environmental policy, I was connecting people who were. It’s an important role. I loved doing that, but at some point, I thought, when the Otsego 2000 job came along, this is a chance to walk the talk. To really see what it is like trying to make a change at the local level and not be the person just getting people to talk but actually getting in there and trying to solve problems, it pushed me, now it’s time for me to get in there. What made you become involved internationally with your work? What first sparked that? I was always drawn to Europe, because of our time in Germany. We were there for five years from when I was in pre-school through 2nd grade, so languages have always been easy for me. I went to a Catholic school when we were stationed in Missouri, that was a French Order of nuns, so French was required. I had a little old nun that insisted that we learn and insisted that we come on Saturdays for three hours to participate in the National French Contest. The language was easy to me and I always wanted to go back to Europe and to have an international career. That’s one aspect I miss a little bit here. I don’t miss the jetlag. I miss the intellectual stimulation of dealing with completely different cultures and navigating completely different cultures. It’s always been part of who I wanted to be. Would you ever consider going back over to Europe? Oh, absolutely. I try to do vacations there when I can and if it weren’t for family here I’d probably be living in France. What kind of problems have you run into working internationally? I don’t know if I see them as problems, I see them as challenges. I don’t even identify them as challenges, they’re just fun. There’s always the not quite knowing how to navigate a new culture. There’s the language barrier to some extent but I’ve found that almost everyone in Europe speaks English to some extent. If they don’t speak English because I speak French, some Italians understands Spanish and I have a few words in German that I can navigate, I can get around and we can usually get beyond any language barriers. I just find living in Europe and working in Europe just a lot of fun. It is not a challenge per se, I am very comfortable in those cultures. Have you ever faced any sort of resistance within your career? Oh, sure. There’s what’s in the news right now is a lot of the gender dynamics, to put it kindly. There’s, I wouldn’t say it’s sexual harassment, per se, I think we’ve all had the lecherous old man kind of thing, but that’s not been to the point where I’ve felt like I was persecuted or attacked or assaulted. There’s definitely in the policy world, the think tank world, in D.C. when I was there it was still very male dominated, and very much of a good ol’ boys network. Even within my organization, the German Marshall Fund, where one of my staff who reported to me was best buddies with the president of the organization and my direct boss, so they would go off golfing when I really needed him to be doing work. Then I would get blamed because the work wasn’t done but they’d be like, oh don’t worry about it you’re just being a hyper feminist, and that was incredibly frustrating. There was also pay disparity, significant pay disparities, in the organization and a number of the think tank organizations. If you were a man you got paid a lot more. I had a German supervisor at one point; we were hiring a program officer, who was a man, really nice guy, very qualified and he had requested a salary that was, I think, equivalent to mine. My supervisor said I think we need to give this to him and I said so you’ll be giving me a raise then and he said, well, no that’s not in the budget and I said, but this isn’t right. I had to really fight for that kind of parity and equality and it was, after a while, just tiring. How did you overcome all of this or handle it? You don’t really. At that point, I was just like this is ridiculous, I would make my feelings known but I knew I wasn’t alone in the organization. We had a CEO who was a difficult personality and after a while you just get tired of fighting. It coincided with me wanting to come up here and just get out of the D.C. rat race altogether, because I started looking at well what do I want to do after GMF and there really wasn’t anything in Washington that I wanted to do. I was sick of the Washington scene, so it was a change of scenery. I wanted to be in a rural area; I wanted to have a better life balance and where I wasn’t spending two hours a day commuting in bumper to bumper traffic and where I would have a chance to enjoy the outdoors, explore some hobbies and that sort of stuff. It really coincided with okay I’ve done that it was great, I will always be comfortable in Europe and now I am ready for a new challenge. In 2010, you came to the Cooperstown area. Tell me about your decision to relocate here. In 2007, I bought my house here, so I had already been working on this sort of exit plan from GMF for a while and I had been looking at houses in Maine because I have friends in Maine, I love Maine. I kept gravitating back to Cooperstown because of my family roots and so I ended up buying a dilapidated pile on Elm Street that’s a rental property, the apartments were rented so I wasn’t in a hurry to move up here but I had this dream that I would just buy the house it will be great, it will be so quant and I’ll have that income and I’ll start a business on Main Street. I’ll start a little retail business and then I realized I needed an income to tide me over while I was doing that so that plan fell apart, but I had the house so I would come up on the weekends to take care of the house and to start rehabbing bits of it and at the same time some family friends introduced me to Otsego 2000 and asked me to join the board, so I did. I think I applied for the job of executive director but they were already so far down the process with somebody else that they interviewed me out of politeness I think because I knew many of the board. They had given it to someone else so I resigned myself to well life is better at GMF so I’ll just continue there. Then after a year or two, the board asked me to consider taking on the position and it took me about three months to make the commitment which drove my board president crazy, I think. When I finally made the decision to move away, I kicked myself for not making it earlier. I had sort of put the cart before the horse by buying the house and then the “Oh right I need an income,” that’s the problem, that’s the missing piece. So then here I am. Can you tell me a little about the history of Otsego 2000? It was founded in 1981 first as an organization called Friends of P.R.O.T.E.C.T, and P.R.O.T.E.C.T is an acronym and I have no idea what it stands for, because I haven’t figured out what the actual acronym could possibly means. The name was changed in 1983 to Otsego 2000. It was founded to protect the Otsego Lake region and immediately around Otsego Lake from a major powerline that was planned for running right down the east side of the lake on top of the hill. The powerline was moved a couple valleys to the west; it’s now in the Butternut Valley. It’s the Marcy South powerline. So, they succeeded in getting it off of Otsego Lake which, we were founded by the great, great, grandson of James Fenimore Cooper, who felt that this landscape was really critical to Americans notions of environmentalism, and the importance of nature in the U.S. because Fenimore Cooper had really brought that issue to the fore in the nineteenth century. We were founded to protect the lake and really focused on sensible planning and intelligent planning, zoning, and regulations that would protect water quality, that would protect the scenic landscape, the historic landscape around the region. We were founded to respond to a threat and so that’s still our first and foremost responsibility is responding quickly to real threats to the region whether it’s the fracking which was our biggest threat ever, a huge windmill farm that was going to go at the other end of the lake in Cherry Valley and it was going to be about 60 windmills, which in retrospect is a small wind farm compared to how big the turbines are nowadays. Now the XMG, what they are calling bomb trucks, they’re compressed natural gas trucks that are going along Route 205 which is not designed for highly flammable explosive trucks. Then also things like a major motor boat launch on Otsego lake that would have changed the character of Otsego Lake immeasurably if we’d allowed the State to put that in. One of the tools we discovered along the way was using the incredible historic fabric of this region to protect it. The Glimmerglass National Historic District was sort of created out of a movement to find a tool that would insure additional review for any major planning projects that would go in, in this area, because New York State Law allows and I think Federal Law, if a property or project is located in a historic district or is listed on the National Register, there is an additional layer of review for any Department of Transportation project or public works project or any development that would involve and federal or state monies, grants monies or tax credit monies, or loans. That’s been a very important too for protection in this area. We have 36,000 acres more or less that are listed on the National Register, it’s still only 1% of the county, but we were able to use that argument in our comments to the DEC [Department of Environmental Conservation] on the gas drilling, on the fracking. They cited that as one adverse impact that fracking could have on Upstate New York or on New York State resources in their denial of the process, when they banned the process. That was really a significant win for us. That’s sort of what we have done in terms of protecting the area; at the same time we try to build up programs and initiatives that add to the community life, like the farmers’ market, our Otsego Outdoors website and Glimmerglass film days most recently. What is your approach to educating the public about environmental issues? We do it through a variety of ways, through the various e-blasts, Facebook which is a new tool; we didn’t use that back when I first came to Otsego 2000. I only did Facebook grudgingly, but it’s an incredibly useful tool. We also hold meetings; we organize public meetings. For the fracking issues, probably every couple of months we would show either a film or have a town hall type meeting in different communities. We would go to town board meetings, planning board meetings and speak up about the process, or the threat, what it would be doing to that town and what the town needed to do to protect itself. We would send postcards, we did a survey we helped all the towns around the county do surveys of their population, I’m not talking helping the municipalities, we helped the grassroots neighborhood groups in those towns so they weren’t municipally sanctioned surveys. They really helped to gauge people’s opinions on what their town was facing and overwhelmingly the county was against it. The public relations campaigns, mailing letters to every voter, or every property owner, and letters to the editor, there is just so many layers and ways to get the information out to people. Which way did you find to be the most beneficial? I think it was the postcards, and then when it came time to submit comments to the DEC on their revised draft, because we had commented on the first one, along with several other groups in other parts of the state, that caused them to withdraw that draft and issue a revised draft, which incorporated some of the suggestions, but not all of them by any means. They gave us 30 days to respond; they released it right before Christmas. It was a timed to limit comment, and then they released the regulations at the same time, the draft regulations which is out of the ordinary because normally you have the environmental impact statement before you can draft regulations. They did both simultaneously which meant a lot more work for everybody, so we had some experts who are phenomenal people, Lou Alstadt and Keith Shue, who read through everything and drafted 20 separate comment letters that we were able to do on different aspects on where the EIS [Environmental Impact Statement] was deficient. We used those to hold comment letter writing parties. We also distributed them on thumb drives to people so they could take them and share them with friends. What was most effective about those was not necessarily the volume of letters we generated, which was huge, but it was the fact that people took the time to read the letters that they were signing and then shared them with friends, so that it was another way to disseminate information and draw attention to this very real threat. I think that was really effective because having a letter writing party in Gilbertsville and in Morris and in Westford and Cherry Valley, where everybody gets together and feels like they are not alone and they discuss the concerns, we have people there that can respond to their questions, but they feel like they are doing something and then they are more invested in the outcome so then they show up for protests. They call their State Representatives, they call the DEC, and it just becomes highly effective. Tell me about Otsego 2000’s approach to advocacy. I think I just covered that, because I think that’s the key. Getting the person who is an armchair activist and I would put myself in that category, because I’m not naturally someone that goes out and waves signs and holds up banners, but to get them to see how their participation can have a real impact and that it’s important that everybody shows up at the table and you can do it in different ways. You can be the one that is chaining yourself to a fence or you can be the one calling the Governor’s office every day or once, but whatever you can do you have to do something, and I think people really appreciated that we were asking them to do something and whatever they were able to do in their comfort zone or maybe just slightly out of their comfort zone, just push it a little bit. We alone, Otsego 2000, can’t succeed in this, we need everybody else to jump in. We can lead the way, we can help with resources and we did a lot of photocopying for the neighborhood groups; we did a lot of the formatting of postcards and paying for postage and we would raise money and people would give us $5 for postage. We could do the process but they needed to get the voice out. [TRACK ONE, 28:40] Only by hearing from a gazillion people will there be a response. If they just keep hearing from the same three people, they just brush it off. What kind of role did you play in the local hydro-fracking debates? Early on we raised the alarm about this. As we got deeper and deeper into what the fracking process was and what impact it could have on water and land and a community character and all of that, we became increasingly alarmed. Otsego 2000 is lucky in that we have, what is called the Cooper Fund for Environmental Stewardship, which was established, we had a gala dinner on Henry [S.F.] Cooper’s 75th birthday, and it raised a nest egg or a rainy day fund, which allows us to respond quickly if we see a threat coming so we don’t have to do a fundraiser in order to act; we can act and then reach out to the community to help with the costs, [START OF TRACK 2, 0:00] and so that allowed us to hire a legal firm right away to address the draft environmental impact statement, and so one of our important tools is litigation and building a legal case. There’s writing on a comment on the DEC draft environmental statement which I can do as an individual and it will get recorded and everything but there is a whole other process that you should follow if you are ever think you might bring a lawsuit against the DEC or a township. Building that legal case from the get-go was extremely effective and really helped us when the Town of Middlefield passed their ban on fracking and then promptly got sued. We had all of this record of expert testimony and expert opinions about the impact this would have on a community, and we could hire consultants who could do a build-out analysis of if fracking is allowed to go forward in Middlefield this is what it would potentially look like based on what is happening in Pennsylvania, based on what industry documents say. That’s a very important part of Otsego 2000s role. We did work with the Towns of Otsego and Middlefield. We engaged an attorney who was basically put on call for the towns; he was an environmental attorney, who was very well versed in land use law, and so the town attorneys were able to consult with him. It was at arm’s length from our perspective, they didn’t share their consultations with us but we know he is an expert in the field and so we were able to provide that expert assistance to the towns while they were crafting their laws to make sure that they didn’t have any unintentional loopholes or didn’t miss some part of the process that is critical that would cause the law to be tossed out. So, we provide legal assistance, we provide some funding, and a lot of elbow grease. How did the communities first respond to this issue? I think some initially thought it was going to be a boon, because they thought dollar signs and natural gas is clean, its clean burning fuel. It’s cleaner burning, but it is still a fossil fuel. It’s the process around it, all the traffic, the influx of transient workers and the housing issues that other communities are having as you get a gazillion people coming in there’s no housing and then they leave [and] you have a lot of empty housing. The impact on water systems and it really depends on the topography and the geology. Up in Springfield for example, it would be a disaster, they have karst, and so it would be really problematic, so you had landowners and farmers who have very real concerns about paying their taxes because their taxes are far more than their farms are bringing in, who signed the leases because for them they saw salvation, and a way to keep the farm. I think that’s one of the struggles. We had was we want them to keep their farms, we don’t want them to be on a farm that’s polluted. What are the ways we can we solve the issues of farm income that doesn’t involve fossil fuel extraction that would ultimately spoil the land, spoil the water. That was one of the bigger challenges that we had. What kinds of resistance did you face during these debates? There was a lot of resistance, mainly from the southern part of the county. It largely hinges on the individual rights sort of aspect of our country, the “don’t tell me what I can do with my land,” and I think that we certainly didn’t solve it and I don’t think it will ever be solved, because you have to balance individual property rights with the impact on neighbors and on the collective good, which is water, which is uncontaminated soil which is air quality. There’s always going to be that tension, “I want to do what I want with my property and impact on the neighbors be damned,” or “they say it’s safe, I believe them, I don’t believe you.” We were fortunate I think because the gas company that was here was sort of a fly-by-night gas company, it wasn’t one of the big ones, and it was going around signing up these leases. They had almost a caricature of a CEO that was here. He did us more favors than he did his side let’s just say, and so we were fortunate with that, in that we could counter with some reasoned science and examples and voices from the industry who had retired, local folks, who had retired but were well known in the industry who had looked into the process initially thinking that with the right regulations it would be fine and then came to the conclusion that those regulations don’t exist yet. There is no way to make it safe at this point in time, and we just need to transition to renewables. What are some of the current issues that Otsego 2000 are addressing? Well, we are still focusing on the infrastructure of fracking because while the process itself is banned here, the infrastructure is still very much of a concern; the pipelines, because the pipelines that were supposed to be coming through this area just to the east of Otsego County and then there is one to the north. The one to the east has been stayed for a while in the courts, the one to the north has been approved. Infrastructure is a key aspect. Because the one to the east has been delayed so much the gas companies are extracting the gas in Pennsylvania, compressing it, putting it on trucks and then driving it to the pipeline to the north, the Iroquois, which causes a whole host of other problems because these trucks are not terribly safe on small country roads. That’s an issue that we are addressing because they are going 60 mph at midnight through little hamlets. That’s one issues. The other is the hollowing out of the our local retail. The influx of Dollar Generals, which most of the profits go back to Tennessee, which is where they are based, to the detriment of some of our local stores. It really can affect community character to have these chains move in, flooding the area with really cheap goods, and then the local businesses can’t compete so you lose those local businesses and then you only have Dollar General to depend on and it just really kills the community. They have a very aggressive strategy to move into rural areas, so they have started testing out Otsego County, so that’s one thing. One of the other issues that we have to look at, we are very much for conservation of energy, to begin with, so don’t use it in the first place is the best conservation strategy, and then renewables. My concern, and I don’t know how much of it is shared by others in the conservation community is that the large-scale solar facilities, I don’t use the word “farm” because you can’t farm with a large-scale solar facility, is we have a risk of them taking up a lot of our farmland, because they can be hundreds of acres and we have an opportunity, with the emphasis of regional foods systems, to provide a lot more food than we do for the major metropolitan regions on the East Coast, if we can figure out distribution processes, so I think sensible planning around renewable energy facilities is critical and right now there is not much thought. I think people are so eager to show that we can move to renewables that they are willing to put them on prime farm land, rather than on the parking lots. I think we need to think critically about what we do there, so that is a big challenge. How do you raise these issues to the larger community and facilitate discussions? Well, there are different ways we can do it, again through town board meetings, through letters to the editor, through newspaper articles, our website and we should, we haven’t yet, but organize some sort of conference or community gathering where we talk about these issues, what is it that we can do, to have both. We want renewables, we fully believe in them but we need to be sensible about this. The problem is with a lot of rural communities, not just in New York State, is that the zoning word is a six-letter word, because people think of zoning and then the government will tell them what they can and cannot do, even if it will ultimately lead to a better quality of life. I think that’s something we have to address. Americans have to change their habits if we want to preserve what we have. Tell me a little bit about the Glimmerglass Film Days. Glimmerglass Film Days, it’s sort of a departure from what Otsego 2000 has done in the past. We started the farmers’ market but that’s really about land use and about protecting agricultural land. Film Days started in 2013, we had our first festival. In 2011, Peggy Parsons, who is the director of the film program at the National Gallery of Art, and a CGP [Cooperstown Graduate Program] grad, she approached me out of the blue in August of 2011. [She] had done some research about the various environmental organizations in Cooperstown and decided on Otsego 2000. She came up and pitched this idea that it has always been her dream to have an environmental film festival here in Cooperstown. She’s from Utica originally but her heart belongs to Cooperstown and she had thought that looking at our history, that Otsego 2000 might be the right organization to do it. We were in the midst of the fracking battle. At that point, I was going to a town board meeting every week, I had community activist groups in my office three of five days a week printing and photocopying and signing letters, and it was kind of crazy. At the same time, it was somebody who clearly was very, very well known in her field, who was coming with this opportunity. I also knew from my experience at GMF somebody like this was going make things happen. I went back and forth with Peggy for about five or six months and I think in early 2012, presented it to our board as an opportunity. The board took about another six months to think about it and to talk about it and then gave the go-ahead to give it a try, and agreed to put up 10 or 12 thousand dollars to see if it would work. We ended up not needing to tap that money because the community was so supportive, which was really nice. Our first festival was in 2013 and it was a success and it’s grown every year since then. It has become a really anticipated event in the community and increasingly people that come from outside. We’ve had people who have been coming from Saratoga for three years, from Philadelphia for five years. We had people who came in from Montreal specifically for it, so it has really been quite wonderful to see the community response. The way we define our environment is to include not just the built environment and the natural environment but also our living environment, our quality of life, our community. So, the farmers’ market is not just to protect the agricultural land, the reason it is right down on the middle of Main Street is to bring people back to Main Street. To make sure that Main Street has a lively presence, at least on Saturdays, Tuesdays in the summer, and now it is a year-round market, which is key. It really is a community of people, merchants, vendors, locals, and people who come here specifically for the Cooperstown Farmers Market as attraction, and film days was in that vein as well. Let’s create something that makes this a place that is lively year-round and that has a high-quality of life so that it attracts people who want to come work at the hospital, at the colleges, who want to start a business, or who just want to work from home and want a great quality of life. That’s sort of the happy side of what we do, as opposed to the opposing side of everything. What is the film series connection to environmental conservation? It started out, we showed far more strictly environmental films in the first year, but we decided our mission was to showcase films that explore humanity’s complex relationship with the natural world. The human impact on the natural world and then the natural world’s impact on humans. It’s broadened the scope of films that we can show from features to animation to documentaries, etc. and so it’s become broader, I would say. We always have some environmental documentaries that are very clearly on environmental themes but some of them you sort of have to dig a little deeper to see how this is an environmental theme. Columbus, for an example, which we showed on Sunday, that’s a fictional story, it’s a feature film, it’s sort of a film essay. The pace is slow and it’s thoughtful, but the build environment in Columbus, Indiana very much plays a starring role in that. The modernist architecture is critical to the visual essay that Kogonada is writing and depicting. So, I think that’s one aspect of it, and the Hunt for the Wilderpeople was a funny, tear-jerking take on an urban little boy’s adventure in the bush. Lots of liberties were taken with how he would have survived, but it was a great film. I think [TRACK TWO, 18:03] what we want to do is provoke people into thinking about their impact on the world and their role in the world, and the importance of stewardship of the environment. What are some of your concerns about our immediate environment in Cooperstown? The hollowing out of Main Street, right now is on many people’s minds. There is an imbalance on Main Street right now with the rents that the building owners charge and what the local economy can actually support year-round and so new businesses come in with all sorts of hope and ideas but they can’t make it through the winter because they’re being charged $4,000 a month for rent. I think this is a big issue, rents in Oneonta are a third of what they are here in Cooperstown and that’s a big concern. The overwhelming dominance of baseball memorabilia, because baseball memorabilia is the only thing that can pay the bills year-round because there is a significant online market for that means that even tourists, who I mean I’ve walked behind say I thought there would be more cute shops here. We would love to have the cute shops. I do think that the prevalence of online shopping and Amazon has also contributed to the hollowing out of our local retail stores, because we need those tax dollars number one, we don’t get them if you buy on Amazon, and we need the life on Main Street. We can’t just have restaurants and baseball stores. We need to rebuild a community commitment to supporting stores on Main Street and I think it was the American Express small business Saturday campaign last year or the year before last, that had stickers that said think local first. In a place like this you’re not going to be able to get it locally 100% of the time, but try first. Even if it’s going to cost you a little bit more, try, and then if you can’t, fine, but if it’s a $5 difference spend that extra $5 in your community. I do think that, that is a big issue that is really affecting our communities, is the prevalence of shopping on Amazon and the imbalance of the rents on Main Street. What ways do you think the community can help to fix that? It’s a tough one, because there are buildings for sale on Main Street, but the sale prices are so high. They are not really realistic, given what those buildings can bring in, in terms of retail space. That one is a struggle, what we can do there. It’s the commitment to buy locally. When you see businesses like Stagecoach Coffee, which has fabulous coffee, and they are always busy. They are a great business because they contribute to the community, the community gives back to them. I think that is true with most of the non-baseball stores on Main Street, is that they try very hard to be a part of the community and the community needs to step up and support them. With new businesses, it’s the same thing, if the business isn’t carrying what you are interested in, take the time to talk to the owner about what you might be interested in, so that they can respond to their local customers, because they’re just trying to figure it out too, so you need the dialogue back and forth. What were the things that environmentalists and conservationists were concerned about 30 years ago? Hard to believe but things like cell towers. Now we see them as absolutely critical infrastructure but at the time they were seen as a sort of luxury element. I know that we fought cell towers at one point in Cherry Valley. It wasn’t a major campaign but a bunch of people were up in arms about marring the landscape. Seems sort of trivial now. A medical waste incinerator that was going to be going in, in Westford, Decatur, which are on the eastern side of the county, and we fought that because that was a big concern. The motor boat launch on Otsego Lake and the impact it would have on our drinking water because Cooperstown drinking water comes from the lake, so to have such an increase in motor boats, which would stir up silt, which would have the oil leakage and all that, would really impact the quality of water. Water quality has been something that has been an issue, a concern from the get-go. How have these issues continued on until today? Well water quality is a never-ending battle, because it is so important to life. We are also part of the Chesapeake Bay Watershed, so we are the northernmost point of the watershed. What gets dumped in Otsego Lake ends up in the Bay and that’s very important for people to realize. Those are the issues that sort of remain. Pesticides on the golf course, which have been greatly reduced over the last 15 to 20 years, which is great. Storm water runoff septic systems, all of that has been a result of Otsego 2000 and the other conservation groups banding together to protect the quality of the water. What changes can this area make to improve the [natural] environment? I think protection of farmland is critical, sustainable farming practices less reliance on the heavy fertilizers and following good land management practices with regard to stream banks, livestock, and streams and pond, and ag plastics. A lot of them will just burn the ag plastics and that’s not good. I really think it is stream bed erosion is an issue that we don’t deal with as much as Otsego Land Trust and OCCA [Otsego County Conversation Association]. Protecting the quality of the water and the quality of the farmland is critical. Are there any final thoughts you would like to talk about? 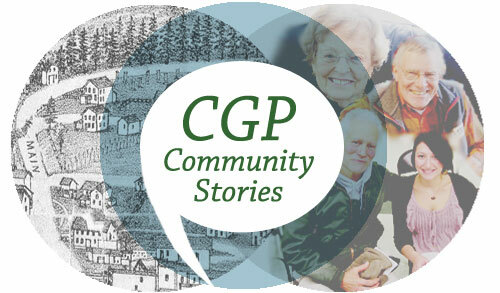 Alexis DiBartolomeo , “Ellen Pope, November 15, 2017,” CGP Community Stories, accessed April 25, 2019, http://cgpcommunitystories.org/items/show/308.